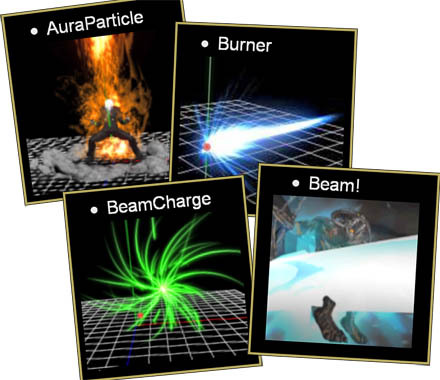 How do I use the AuraParticle Effect? How do I set up the Beamman particle-style effects? Why doesn’t the Beamman BeamCharge Effect work? with some effects from Beamman? Step 0 – Download effect from Beamman’s effects page and drop all files into your Effects folder in MMD. See how to navigate Beamman’s page! Attaching the effect to a dummy bone and the dummy bone to your model using the Outside Parent lets the effect be attached to your model, and yet you are able to set it down or transfer it to another model by undoing the OP when you are done with it. Note: The BeamCharge effect is a little different- do not Register in MMD until you are at the frame where you want it to start due to the way it auto charges based upon the frame. Here are a couple of my videos to demo the effects! Actually, it’s more complicated than the article makes it look, as every other effect has its own specifics. Which one gives you trouble? i have situation but i don’t know how to explain it…..
can you tell me what i must to do? So, what did you try to do and how the picture is not it? I think he means that the burner effect isn’t displaying like the ones pictured here. It looks like..I dunno…pastel-colored? But then again, the AMP says burner2.x and the one pictured here is the normal burner.x effect. So perhaps it IS meant to be a different effect? Anyway, there’s an article dealing with Burner, see if it has answers to your question. Also, if the order of drawing is the problem, adjust it in the “background”->”accessories edit” panel. what is the Amp, Ti and ST? Howdy… I got your email and sent an answer. The AMP is the Accessory Manipulation Panel; it’s down on the lower right of the MMD screen. Si controls Size. Tr controls transparency. I do not know what Ti and ST are… ? ?